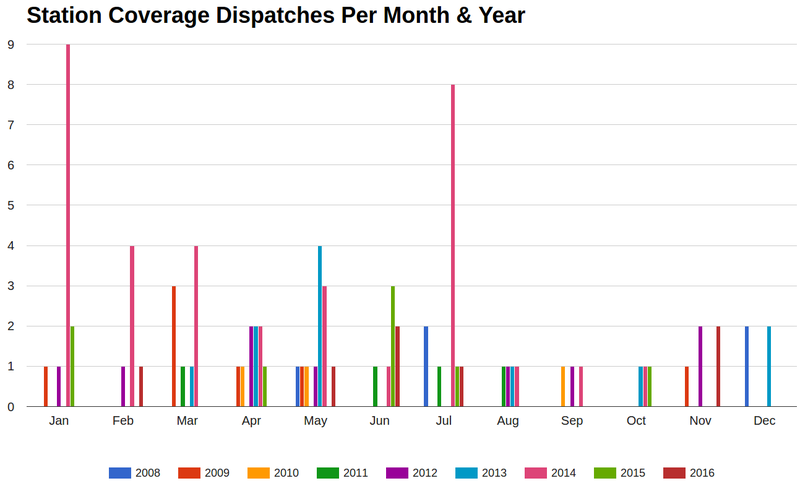 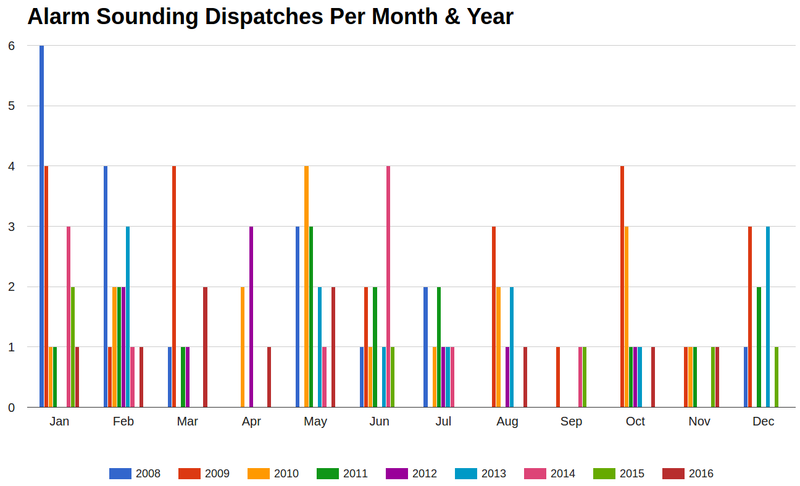 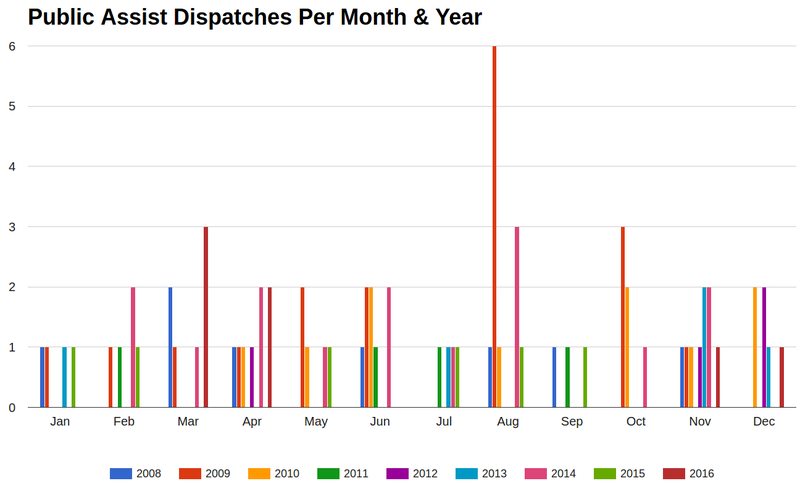 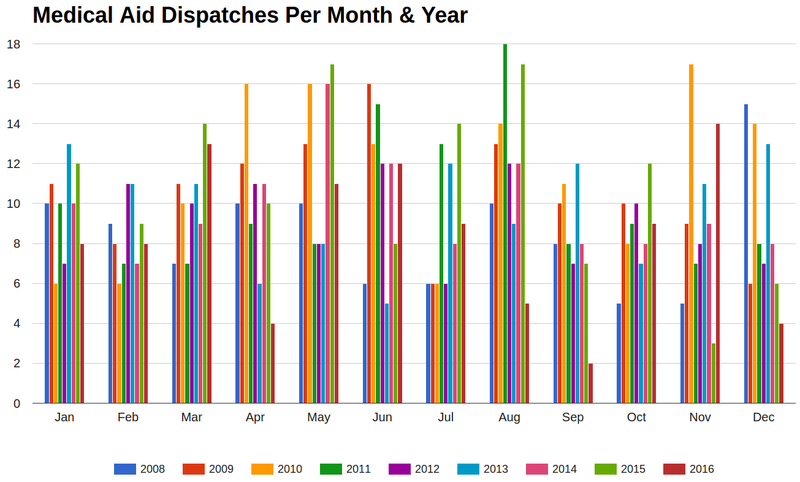 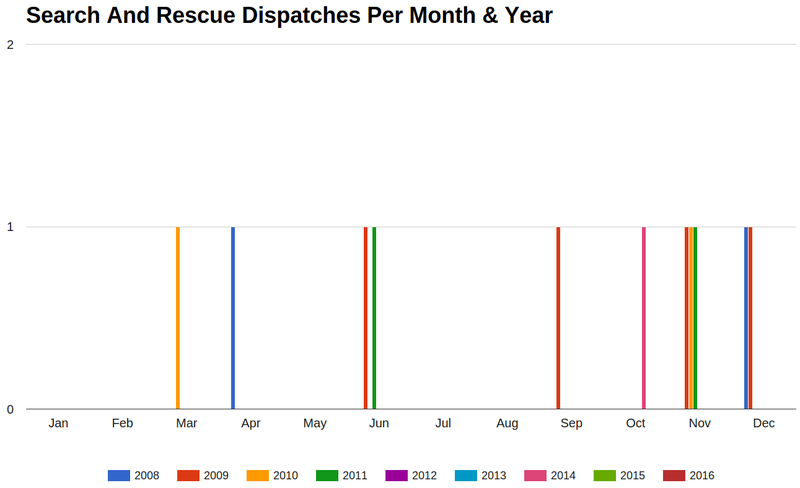 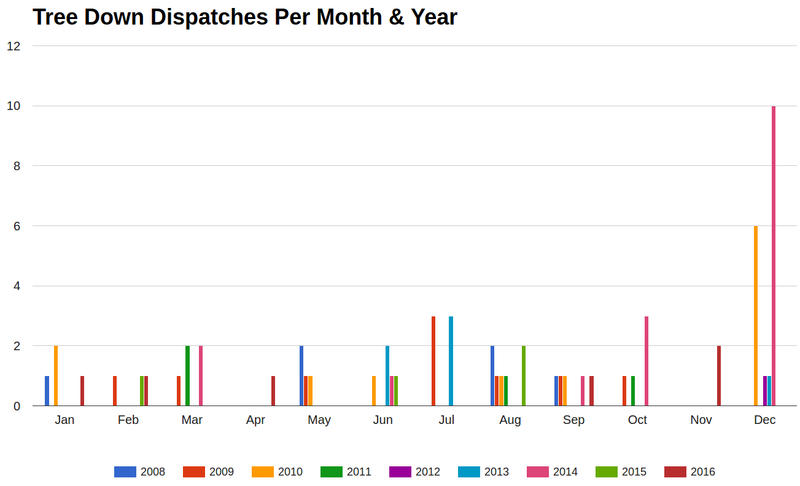 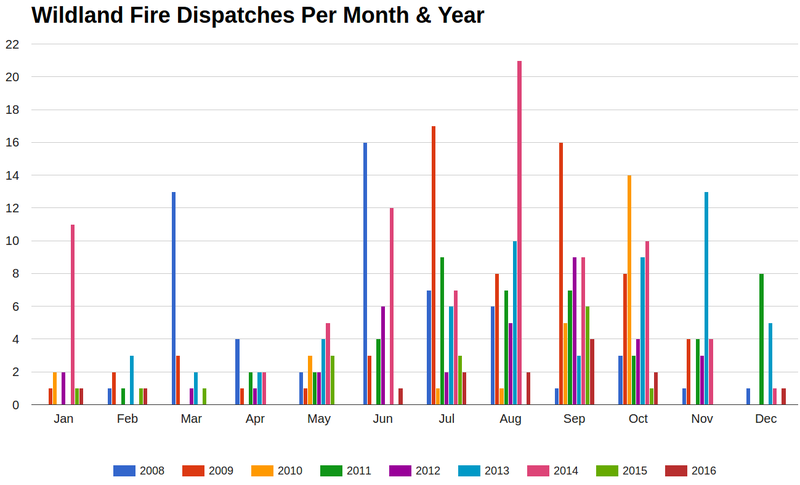 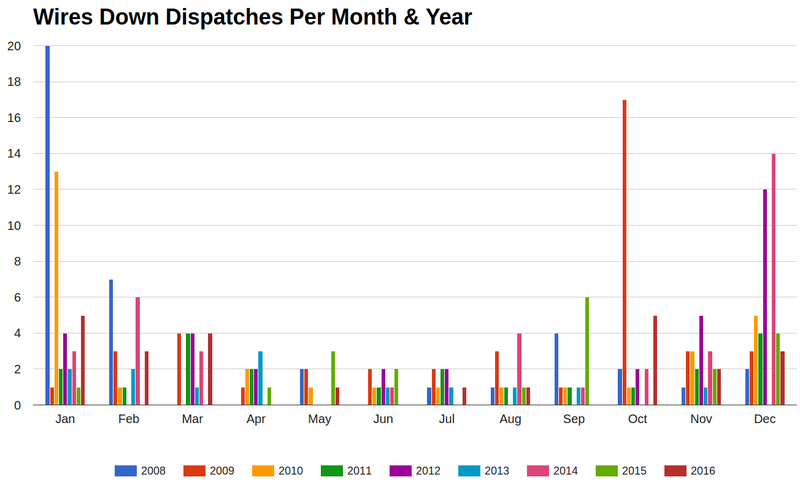 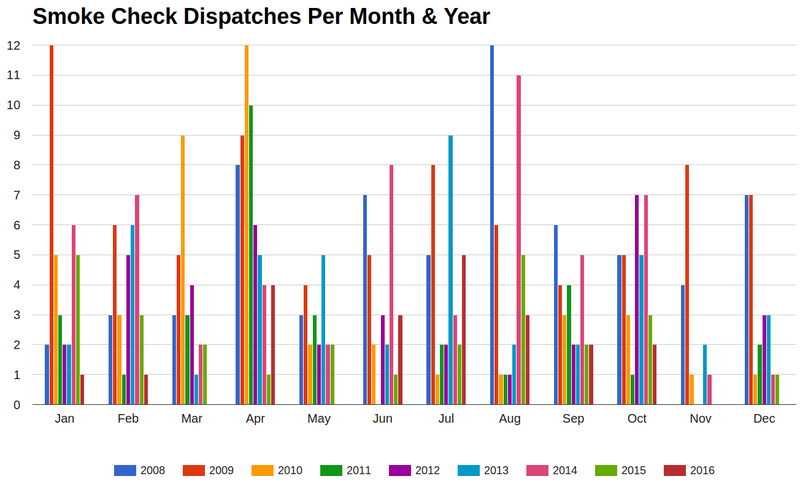 The charts below show the number of different call types per month and year since 2008. 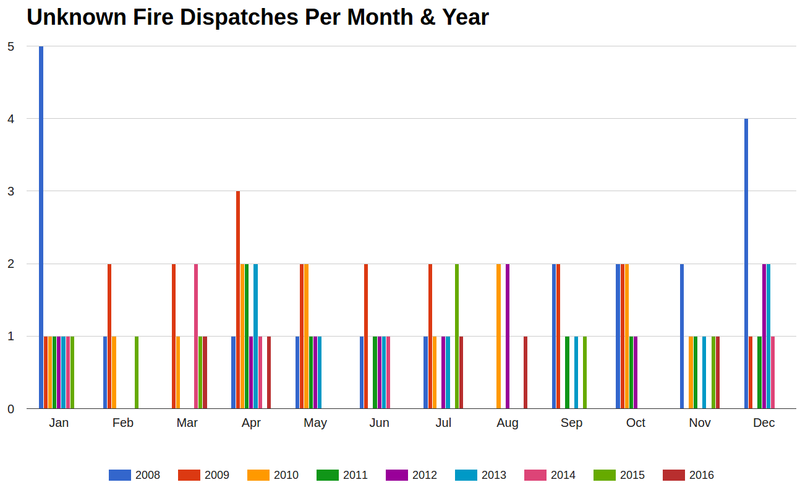 These charts can show trends over a year, like which month has more vehicle accidents or smoke checks. 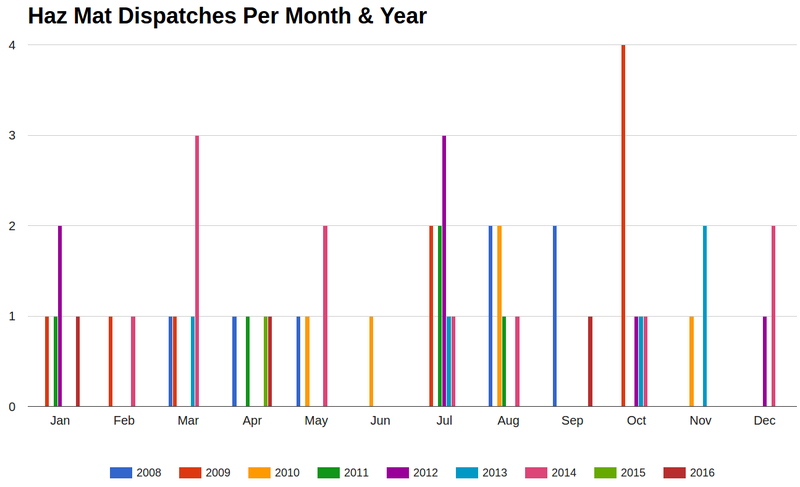 As with the yearly charts, the current year has data only through the latest complete month. 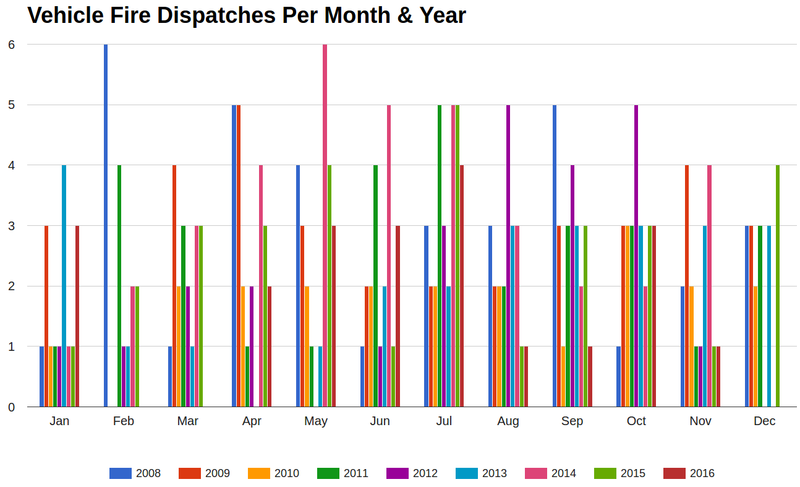 The current year display in these charts should all be updated within a few days of the beginning of a new month. 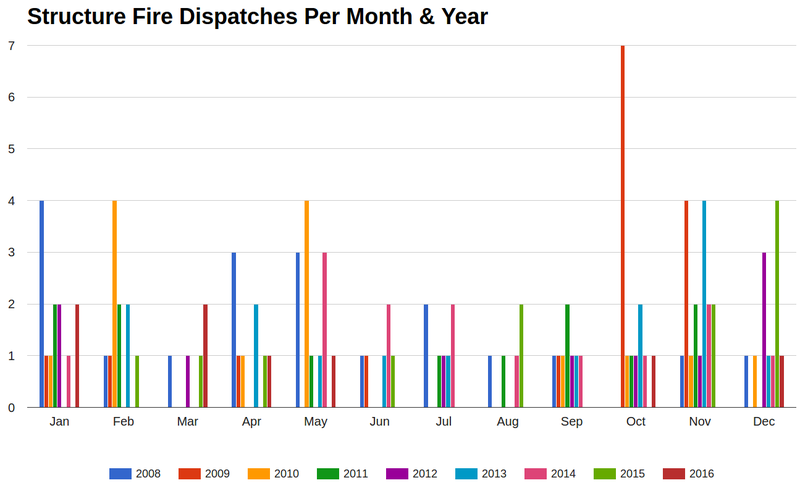 Station Coverage Only - our local volunteers being asked to cover their station while the firefighters from Burrell station are busy at some incident and no cover crew is present. 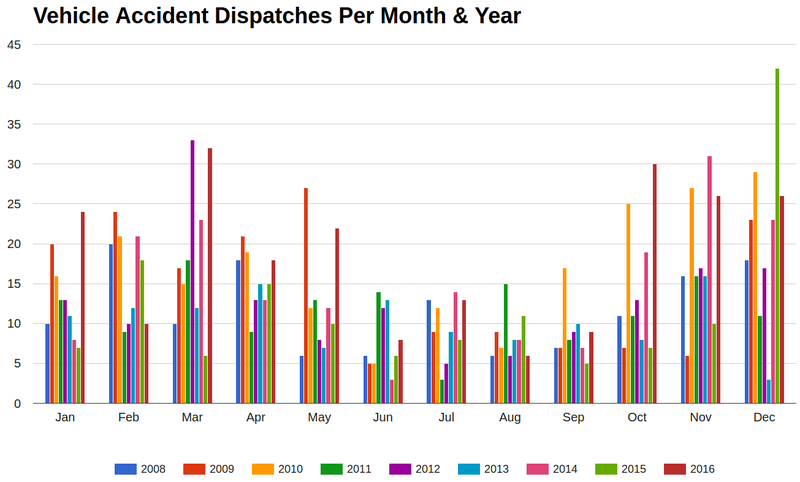 This improves response time in the event that a new incident occurs.